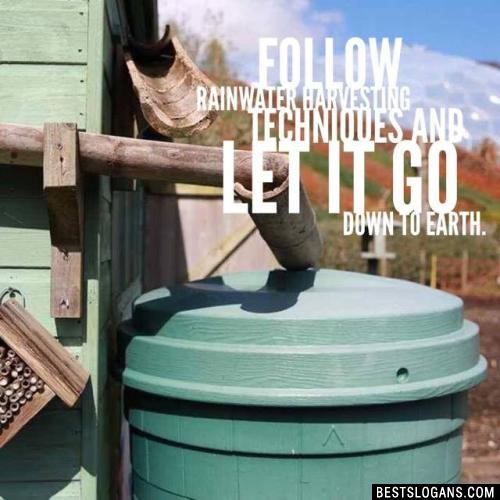 66 new entries added to rain water harvesting slogans, harvest slogans, that include pictures. 1. 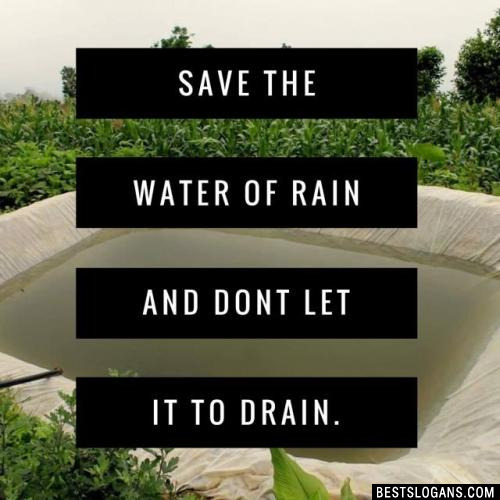 Save the water of rain and dont let it to drain. Rainwater harvesting can not only help conserve water supplies, it can also bring significant cost savings for properties on water meters. Here are some interesting facts about water; how much we have, how much gets wasted, and how we use it..
Only 3% of Earth's water is fresh water the other 97% is salt water. The New York City water supply system leaks 36 million gallons per day. Save the water of rain and dont let it to drain. 2 No rain only pain, no water no life. 3 Save rain to be away from pain. 5 Harvest the water from rain for the purpose to reap the grain. 6 Collect the water from rain to live without pain. 7 Harvest rain water to continue life on the earth. 9 Slow the water flow to save more water. 10 Harvest the rain water to remove thirst of earth. 11 Life depends on water and availability of water depends on you! 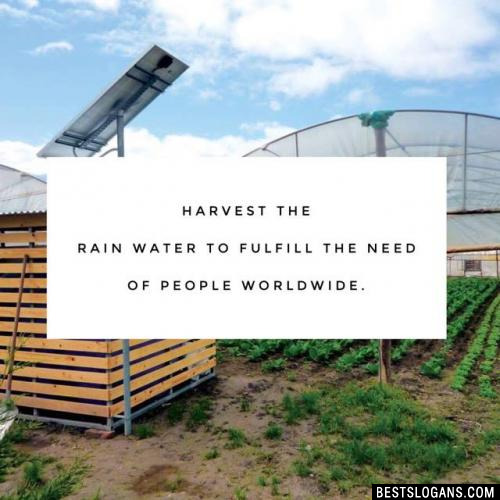 12 Harvest the rain water to reduce the use of clean water. 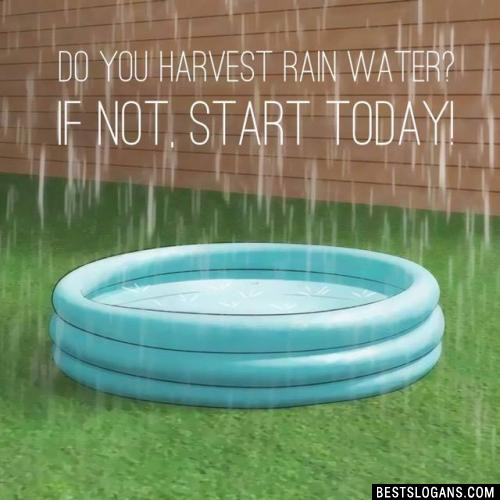 Do you harvest rain water? If not, start today! 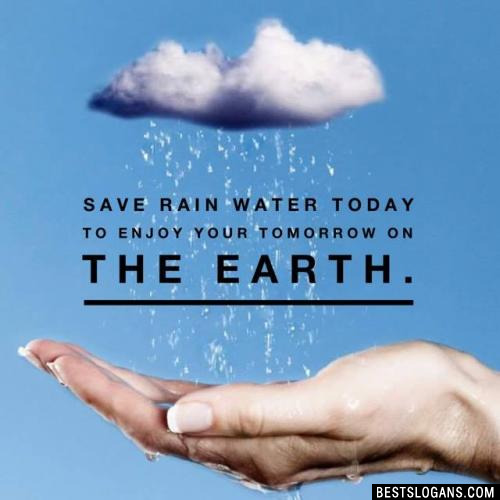 Save rain water today to enjoy your tomorrow on the earth. 15 Raise the level of ground water through rain water harvesting. 16 Rain water harvesting is the way to conserve rain water. 17 When all the well will be dry, from where you will be well-being. 18 Dont be conserve but conserve the rain water. 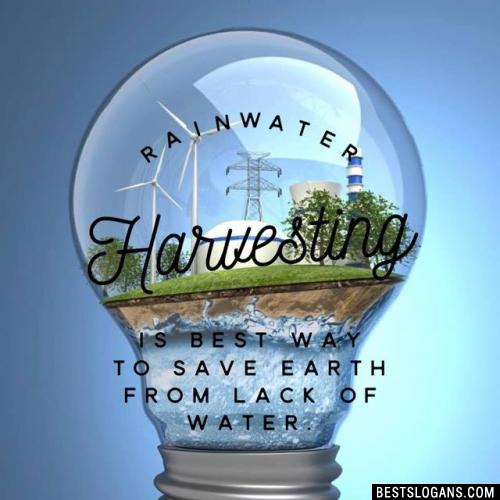 Rainwater harvesting is best way to save earth from lack of water. 20 Use your brain to save water even from rain. 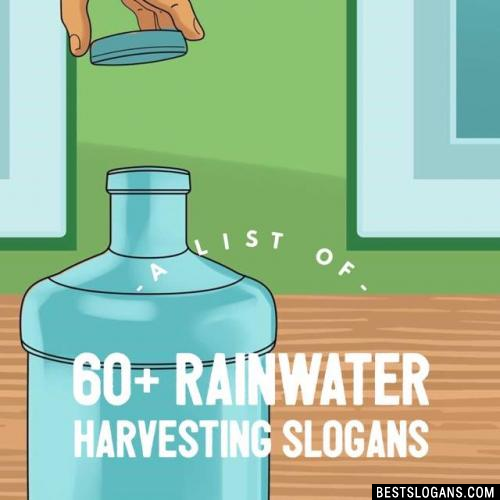 Can you think of a good Rain Water Harvesting Slogans we're missing? Or come up with a clever one of your own. Please share below.